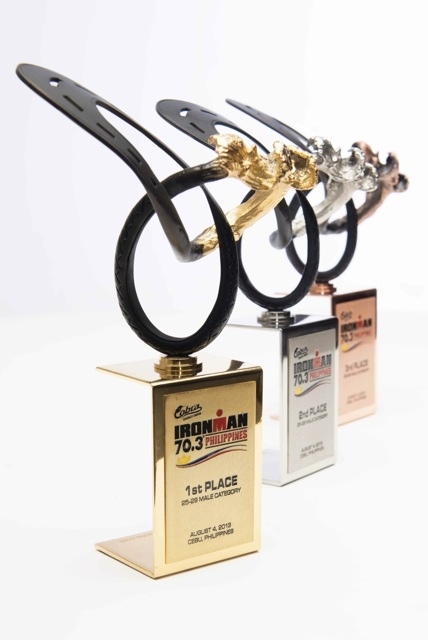 The victory of being the strongest and fastest among the Cobra Ironman 70.3 Philippines contenders shall come within exceptional trophy envisioned by internationally renowned designer Kenneth Cobonpue, and crafted by the metal artisans of Suarez and Son. And since this year’s Ironman shall be held in Mactan Shangri-La on August 4, it is fitting to showcase the artistry of these world-class Cebuanos through these commemorative prizes. 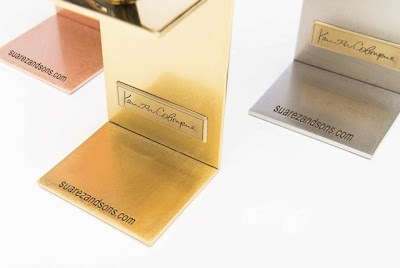 “When Kenneth was tapped to design the trophies, his obvious choice as the manufacturer of the trophies was us, since are known not just in Cebu but nationwide to be the leader in the metal crafts industry,” says Sales & Marketing Director Gia Suarez. It is interesting to note that Suarez and Son also made the trophies for the Ironman competition last year as well. Stronger than the physique of these Ironman athletes is the legacy behind Suarez and Son. The superior metal craftsmanship of the company has a long history dating back to 1953. “Our father started this engraving and stamping business 60 years ago. He made the Suarez name synonymous nationwide with quality emblematic jewelry and metal crafts because of his passion for perfection, a keen eye for detail, good taste and entrepreneurial spirit. He has inspired us to continue his legacy for many more generations to come,” says Rafael Suarez. Today, after the evolution of technology in the field of metal crafts, Suarez and Son continue to stay true to its tradition of excellence in quality and artistry. This dedication has upheld their reputation as the top supplier of commemorative school and corporate rings, trophies,emblems, plaques, and other metal crafts all over the country. Students from all over the Philippines treasure their college memorabilia created by Suarez and Son. Included in their long list of projects are Coca-cola’s commemorative pins and bottle markers for its 100thanniversary, Avon’s brass miniature liberty bells to mark its centennial anniversary, a pure gold medallion for the King of Thailand, the medals for the 1995 and 2005 Southeast Asian Games, and the commemorative PedroCalungsod coins, which were brought to the pope for the saint’s canonization. According to Suarez, the secret behind their continued success is the passion for outstanding workmanship that drives all stakeholders of the company. “It is important to have workers who are not just highly trained but who also enjoy what they are doing and take pride in being part of a team that manufactures world class metal products. Once you have workers with this training and mindset, it is easy for us make sure that quality is maintained through quality control procedures in every department,” says Gia Suarez. Now on its 60th year, Suarez and Son has placed its commitment and legacy of metal craftsmanship in the making of the Cobra Ironman 70.3 trophies. And just as how each of their clients still hold their Suarez-made memorabilia in their respective homes, the winners of this triathlon shall surely have these trophies to always remember this significant victory.